Reduce fine lines and wrinkles by harnessing the healing powers of PRP and collagen induction therapy. The PRP Facial is a very simple yet incredibly effective strategy for rejuvenating the face using PRP and collagen induction therapy. Platelet-rich plasma (PRP) derived from your own blood is applied and worked into the skin with a professional micro-needling tool. The Micro Needling tool creates micro punctures in the skin, thus activating the collagen and elastin cascades to create new cells and rejuvenation. The PRP is then used topically with the Micro Needling pen to simulate stem cells that exist in the face. 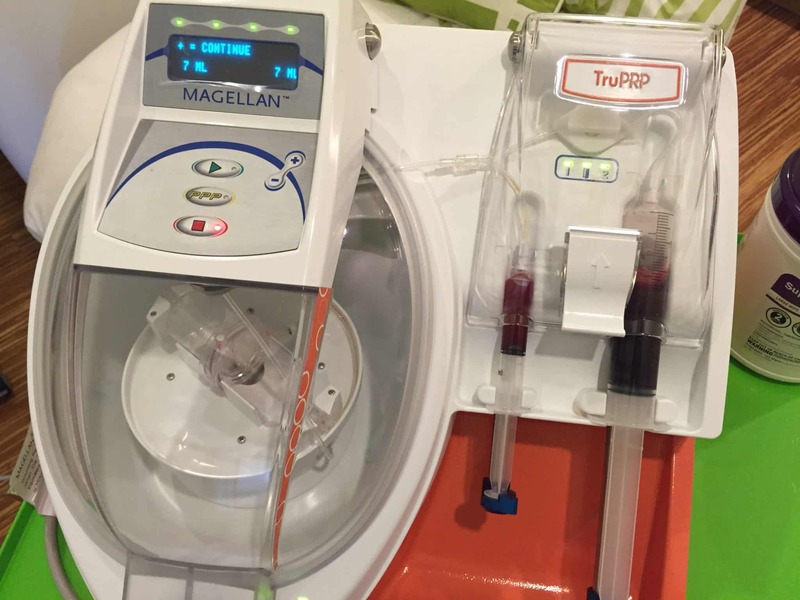 Spinning up the PRP (platelet rich plasma) in Seattle and getting ready for a PRP Facial. What Are The Benefits of MicroNeedling with PRP (the PRP Facial)? The benefits of micro-needling can included a reduction in the appearance of fine lines and wrinkles, younger-looking skin with fewer signs of aging. Micro-needling may also have a positive effect on the appearance of hyper-pigmentation, hypo-pigmentation, acne scars, traumatic scars and stretch marks and generally creates a fresher appearance or glow to the skin. 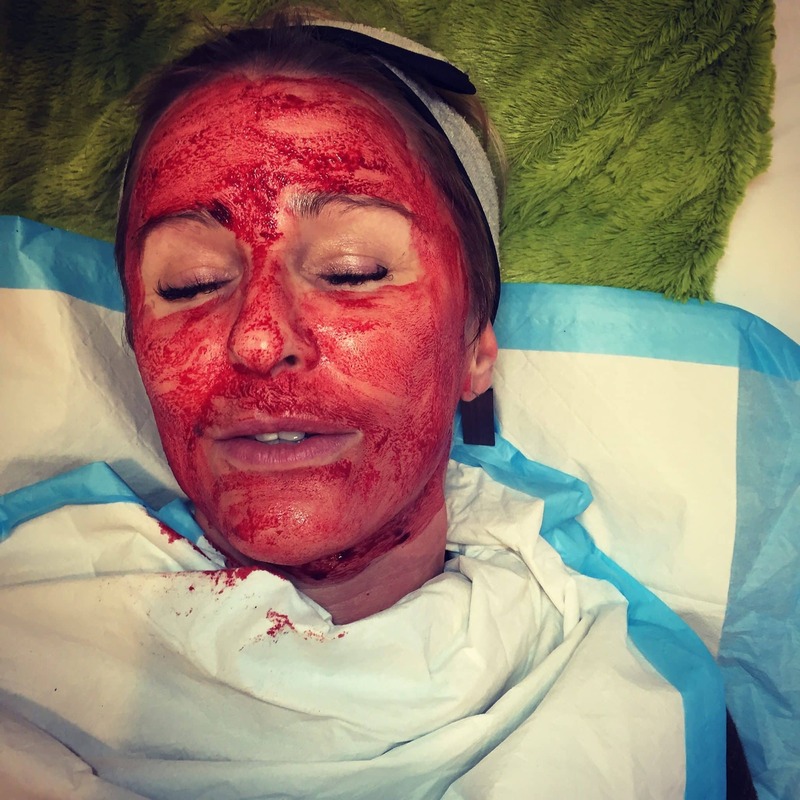 MicroNeedling alone can achieve good results but when PRP is used (the Vampire Facial) in combination we are seeing much better with a faster healing time. We can Micro-needle on any part of the body, including the: face, neck, décolleté, arms, hands, legs, abdomen and back. The feeling associated with the MicroNeedling pen is similar to light sandpaper being moved across the skin. While some areas are more sensitive than others, the speed of the reciprocating tip reduces discomfort while the applied hydrating gel also makes the treatment more tolerable. The Micro needling procedure takes approximatley 30 minutes depending on the size of the area treated. If you are receiving MicroNeedling in combination with PRP (the PRP Facial) you will need to add 30 minutes to the procedure time for your therapist to prepare your PRP. What Is The Downtime for a PRP Facial? Immediately after the treatment you will notice a bright redness to the skin. The total healing time depends on the MicroPen setting used and the number of overlapping passes your skincare professional performs. On average, patients are red up to 2 to 4 days. Many patients heal completely in as little as 24 hours. Patients that opt for using PRP (the PRP Facial) tend to heal on the quicker end of the time spectrum. If you are concerned about downtime and want to best treatment possible the Vampire Facial is your best choice. When Will I See The Results from the PRP Facial? Some patients only require a single PRP Facial treatment once per year to achieve optimal results. However, it is recommended for most patients to receive a series of 3-6 treatments spaced about 4-6 weeks apart depending on the severity of the conditions to be treated. For patients with deep wrinkles, advanced photo-aging, stretch marks or acne scars it is recommended to receive 6-8 sessions at 4-6 week intervals. At Well Medical Arts we have developed 3 and 6 treatment packages that can cut the cost of individual treatments down significantly.